Precious metals futures tumbled Monday as the U.S. dollar rallied and investors spurned safe-havens. Milestone settlements lows in gold, silver and platinum ranged from more than one and a half years to nearly ten years. Gold for December delivery declined $20.10, or 1.7%, to settle at $1,198.90 an ounce on the Comex division of the New York Mercantile Exchange. The settlement is the lowest since Jan. 30, 2017, when prices ended at $1,196 an ounce. Frustrating for the gold and silver market bulls is the fact their metals are getting no benefit from safe-haven demand amid the keener uncertainty in the world marketplace," Jim Wyckoff, a senior analyst at Kitco Metals Inc., said in a report. 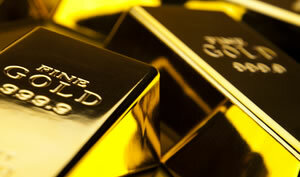 Gold futures ranged from a low of $1,198.60 to a high of $1,221.40. They dipped 0.3% lower last week. Meanwhile, silver for September sank 31.3 cents, or 2.1%, to $14.982 an ounce. The settlement is the weakest since April 4, 2016 when the precious metal ended at $14.911 an ounce. Silver futures traded between $14.97 and $15.35. They dropped 1.1% last week, registering their ninth straight weekly decline. October platinum fell $30.10, or 3.6%, to $799.50 an ounce — the lowest since December 2008, ranging from $797 to $831.80. Palladium for September delivery lost $20.20, or 2.2%, to $880.90 an ounce, trading between $877.30 and $902.50. Last week, the two metals logged respective losses of 0.9% and 0.8%. Gold declined $14.05, or 1.2%, to 1,200.35 an ounce. Silver fell 19 cents, or 1.2%, to $15.185 an ounce. In LBMA results last week, prices for silver moved up 0.1% while those for gold, platinum and palladium moved down 0.2%, 0.5%, and 1%. United States Mint bullion products posted gains of 225,000 ounces in American Eagle silver coins and a combined 3,500 ounces in American Eagle and Buffalo gold coins.